Etcetorize: Martha Stewart Banners and Tags Giveaway! 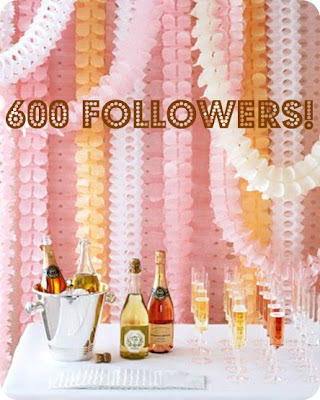 You guys know I like celebrating milestones...like hitting 600 wonderful followers....and I know you guys like giveaways...especially Martha Stewart giveaways. So let's do both!!! The amazing folks at EKSuccess have sent me all kinds of fun Martha Stewart goodies to share with you this month. I want to spread the wealth so we're going to do several giveaways throughout June! First up are some awesome banners and tags from the new Stitched line from Martha Stewart and EKSuccess. This whole line is country inspired with lots of cute floral and gingham patterns, along with lots of quilting and cute little polka-dot themes. Of course, everything is of the highest quality..it's Martha Stewart! Altogether, one very lucky Etcetorizer is going to win 46 fun embellishments to use in their papercraft projects! And these amazing tags, two of each. I'm telling you, I am just so darn jealous of you guys. You have no idea how hard it is not to keep all this loot for myself...but I love to share, especially with such loyal friends like you. We're going to do this the old fashioned way and just use the comment box below for your entries. Be or become a public follower of Etcetorize. Leave a comment below telling me how you follow. which of their brands you like to work with the most. 2) Become a member of the EKSuccess Blog, the Spotted Canary. 3) Friend EKSuccess on Facebook. 4) Follow EKSuccess on Twitter. leave me the link in your comment. You have until Wednesday June 13th, 9:00 PM Central Time to get your entries in! Don't put it off, enter now! Remember to stay tuned because there will be more fun Martha Stewart giveaways throughout the month! Disclosure: this is a sponsored post/giveaway however all opinions are my own. I follow your blog! Congratulations on 600 followers!!! I visited EK Success and it is hard to say which brand I work with the most. Lately I have used Inkadinkado a lot. I like to work with matha stewart crafts. Congrats! I follow your blog. I'm a follower of your blog...congrats on 600. I think the Martha Stewart line is what I use most often - but it's all very cool. Love your blog! I'm a proud follower! Congratulations on 600 followers..I am already a happy follower, I follow you on facebook, and have a few subscriptions, you are awesome to give one super lucky winner these fun and fantastic goodies, I love the quality of Martha Stewart products, EK Success and I even get to enjoy The Spotted Canary in my area,.All awesome products to work and play with..Hoping I win. I visited the EK Success website the "Martha Stewart" is the brand I enjoy to work with so many tools, paints, techniques, papers and goods I enjoying using gives my cards and notions a special touch. I posted this giveaway to my Facebook page https://www.facebook.com/Avery?sk=app_151488108310984&app_data=55622178#!/antoinette.tristan. WooHoo..I have become a Spotted Canary Member as well as EK Success Blog. Just in case it would help to win the goodies..I have been an your follower through email..I don't have a twitter account..but would if I did..congratulations again..and many more to come. Just entering your giveaway. I am in between hobbies right now, so who knows-maybe some awesome supplies might start me off in a new direction. Congrats on 600 followers! I follow with GFC! I went to EK Success' web page and I especially like their Martha Stewart and Jolee's brands! I follow The Spotted Canary! I'm a follower with gfc. Thanks! I really like the Martha Stewart products. They're generally well made and Michael's carries them which is awesome. I like EK Success on fb as Tabitha Swain Klucking. Follow with GFC cara S.
GFC follower. Kristie Donelson. kristiedonelson(at)gmail(dot)com Thank you. Out of all the brands I like Martha Stewart Crafts the most. kristiedonelson(at)gmail(dot)com Thank you. Member of Spotted Canary. kdonelson. kristiedonelson(at)gmail(dot)com Thank you. Like EKSuccess on Facebook. Kristie Morrison Donelson. kristiedonelson(at)gmail(dot)com Thank you. Follow EKSuccess on Twitter. @kdonelson. kristiedonelson(at)gmail(dot)com Thank you. Of their brands I like Inkadinkado. I think the Laliberi looks like it would be a lot of fun! I follow GFC as canastaxyz. I like to work with Martha Stewart Crafts. I think her line is really cute. I would love to work with the Paint Works! I love creating beauty but don't have the natural talent to do so! This would give me beautiful results and so much satisfaction!